Drs Rob Ogden and Ross McEwing, Directors of TRACE Wildlife Forensics Network, recently visited the ASEAN region ahead of the Training Workshop planned for 2nd to 6th August 2010. Meetings were held with key project partners TRAFFIC South East Asia and the ASEAN-WEN Programme Coordination Unit. Laboratories in Malaysia and Indonesia were visitied to give the Drs a feel for some of the current forensic capability of the region. Meeting with Pol. Col. Subsak Chavalviwat NRECD, Thailand. Having taken time out of their busy schedule in the UK, Drs Rob and Ross commented on the hospitality and professionalism of everyone they had met. “It is heartening to see the Wildlife Forensics work already being carried out in the region. The next steps are to optimise the use of existing facilities and sample collections so that Wildlife Forensics is used to its full potential” said Dr Rob Ogden. From left to right: Panjit Tansom (ASEAN-WEN PCU), Jennifer Mailley, Rob Ogden and Ross McEwing (TRACE), visit Police Col Subsak Chavalviwat (NRECD, Bangkok, Thailand). 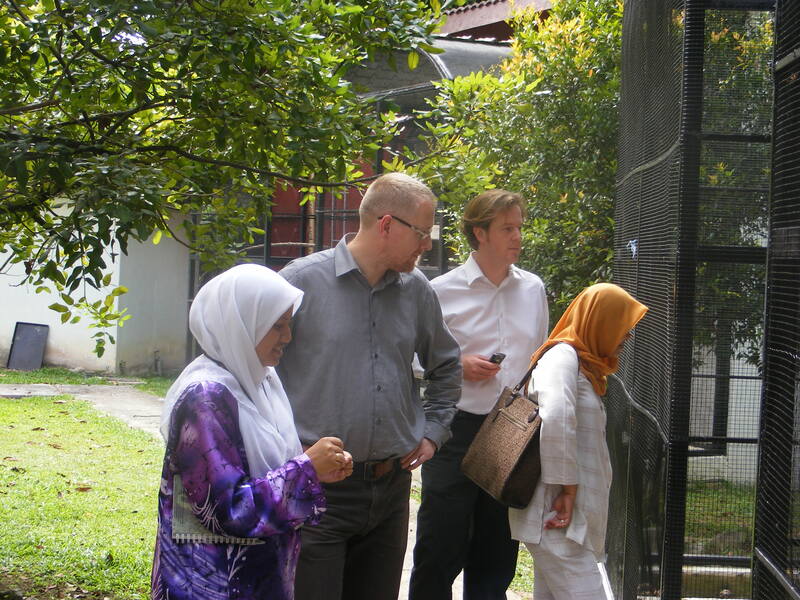 From right to left: Ms Nooraine Awang Anak (TRAFFIC South East Asia), Rob Ogden and Ross McEwing (TRACE) are accompanied by Puan Nurshirah Mustapha, of PERHILITAN.